How far are you willing to go for the sake of the ones you love? Shadow of the Colossus is an action adventure game that was originally released in 2005 for the PlayStation 2. The game was developed by Fumito Ueda and TEAM ICO (a development team that is a part of SCE Japan Studio). The game is a spiritual prequel/sequel to the team's previous hit game, ICO. Though Shadow of the Colossus is well over a decade old, it is regarded as one of the most influential games of the early 2000s. Considered by many to be one of the greatest video games of all time. Since its release the game has been remastered, not once but twice by Bluepoint Games for both PlayStation 3 (which was packaged with a remastered ICO) and the PlayStation 4. The remaster was released to the public on February 2018. This review is a long time coming, several months even. The reason for that comes down to one simple fact. It is almost impossible for me to remember a time where this game wasn't in my life. I understand that may sound corny, but every single time I try to recall specific memories of that first blind playthrough in 2005 I struggle. All I can remember is just pure, raw emotions that first playthrough left me with. Curiosity, surprise, desperation, sadness, serenity, confusion, and elation all melded together into one big indistinguishable blob. Feelings that only surfaces whenever I feel like playing the game again or introducing it to a close friend. 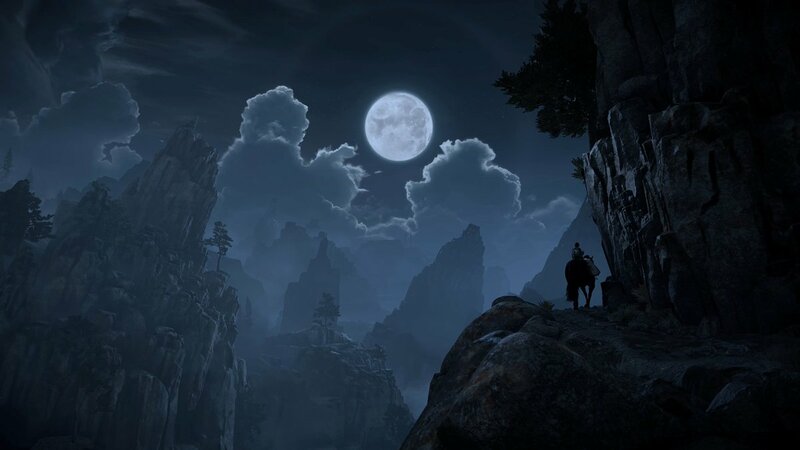 With hundreds of hours spent riding on horseback through the Forbidden Land, I came to memorize every route, every cave or hidden passage in this forgotten paradise. I had mastered every trick, every hidden item, and colossus weak spot that I felt that there was nothing more the game could give me. Until I got my hands on the PS4 remaster. The thirteenth Colossus, Phalanax, takes to the skies in order to thwart the weary hero. Not only did playing this game feel like coming home after a long trip, but somehow all of my familiar experiences seemed brand new. I found myself getting lost, much like I would have on my very first playthrough. Barely able to recognize the landmarks that had guided me so long ago due to the fact that so much had changed visually, yet still remained the same. It was an exhilarating experience. 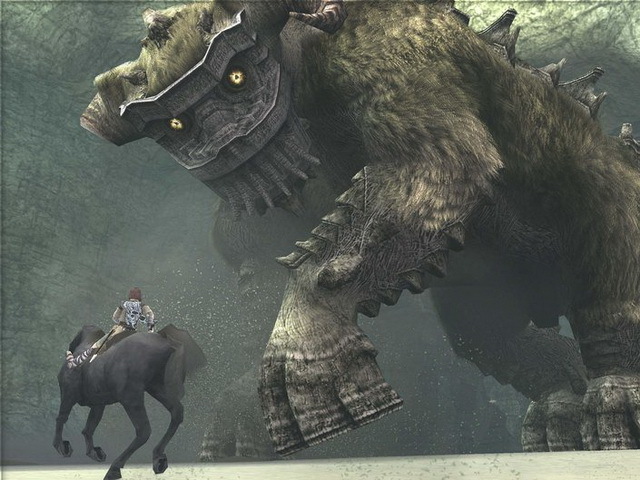 Even though I knew how to master the colossi from the get-go, getting to face them once again after the Bluepoint Games makeover is the closest I'm going to get to that first time experience. But how extensive is this change? Is the core of Team ICO's work still there, even with such as drastic overhaul? One thing you hear a lot when people talk about Shadow of the Colossus (or really any game made by Fumito Ueda) is how empty the game can feel. With nothing populating the landscape that can hurt you other than the Colossi themselves. No townspeople to talk to, no towns to explore. Just you, your horse, and 16 giant beasts of stone. The story, when you get down to it, is pretty simple. A young man named Wander, travels to a mysterious temple in the hopes of reviving a young girl (the type of relationship they have is never stated) and is tasked by a mysterious god-like entity to destroy the 16 colossi in order fulfill his wish. Cutscenes are kept to a bare minimum and a vast majority of this game is spent traveling from area to area on horseback. Only stopping to either admire the scenery or fight the colossi. Peaceful giant or horrific monster? You be the judge. 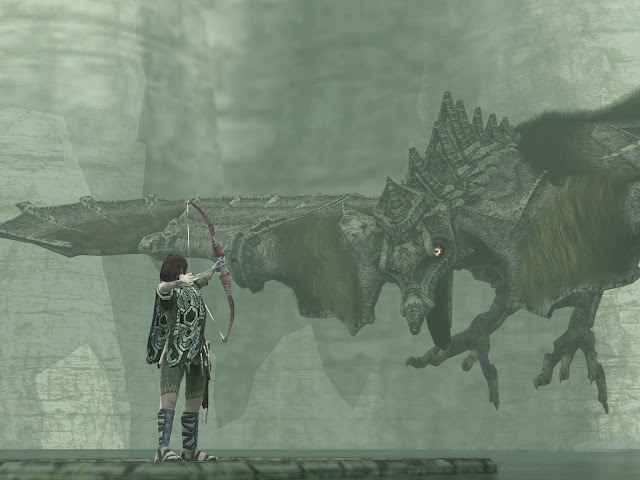 However, I think a big part of what has cemented Shadow of the Colossus as a classic (enough to be remastered twice) is partially due to this “design by subtraction” style. 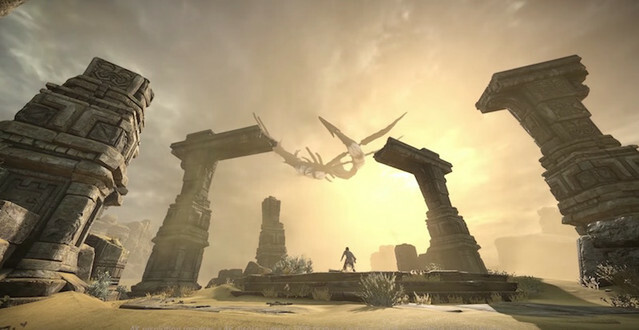 By focusing on game's core elements (the colossi animation, battle mechanics, environmental design), Ueda and his team were able to craft an experience that far exceeded the public expectations. Even the long rides through the Forbidden Land serve the purpose of building anticipation before the reveal of the next colossus. It is refreshing to play a game that doesn't feel the need to pad out several more hours of gameplay and instead focus on what it absolutely NEEDS to get right. In regards to the PlayStation 4 remake, Bluepoint Games was true to their word and kept the game's original core intact. Only offering an alternative control scheme for new players to experiment with. 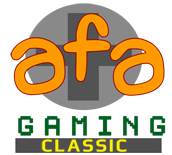 This can be altered at any time to suit longtime fans who are fond of the original controls. A camera function was also added to allow players to capture their epic struggles or calm horse rides as they go through the game. The biggest difference between the PS2 classic and the PS4 remake is in the visuals department. So we shall go over each. The Fifth Colossus, Avion is not about to go down without a fight. Given the limitations of the PS2 hardware, Ueda and his team did their best to create a detailed environment with the technology at hand. Its muted color scheme gives a very melancholy tone which persists through the whole game. 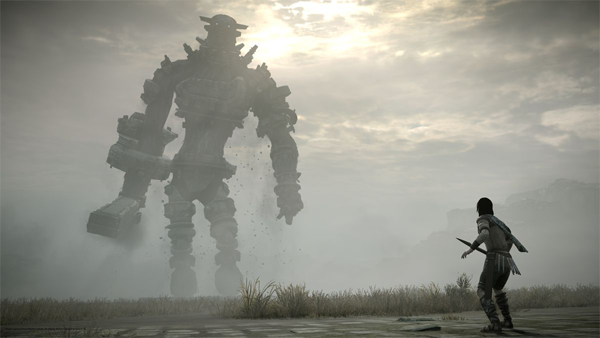 Where the game really shines, however, is the animation of its characters, the colossi in particular. They feel so huge, not only due to scale but in how they move. Their footsteps are slow as they lumber around their designated areas, causing the environment around them to shake. Most of what we learn about each colossus, their temperament and personality can be informed by how they move. This allows each battle to feel unique, adding to the anticipation of what challenges the following collosi will bring. Even the game's protagonists, Wander and his loyal steed Agro, have tons of unique animations that help give them an identity. Agro's loyalty to their rider as they faithfully return to their rider when called, no matter the danger. Even Wander's desperation and pain as he confronts each new beast is communicated by the characters acting animations. Giving the player tiny window's into the minds of their player character and companion without a single line of dialogue. However, despite how impressive Shadow looked in it's prime, by today's standards much of the environment and textures are flat in comparison to most other games. There is also, what appears to be, a grainy filter over the game's visuals. Which, while an interesting technique to add to the game's sense of mystique, can make the visuals seem a little bland. This bland tone extends to some of the cutscene performances of the character. While the story tells us Wander is motivated by loss, what little facial performance we get from him doesn't inform us that is the feeling that is driving him to do the impossible. A big part of the promotion for the PlayStation 4 remake was how the development team had to rebuild the game from the ground up in order to fit the new platform. You would think that with such an in-depth overhaul that some of the original's charm would have been lost in the shuffle. However, I can honestly say that nothing was lost with this particular remaster. Everything that already existed and made Shadow of the Colossus a visual treat was not only recaptured but amplified. Forests appear thicker, and full of vegetation. You can see every last carving on a stone of the ancient temple while the light of the setting sun reflects and casts dark shadows. Even the few cutscenes have added facial animations to Wander to make him seem less like a stoic and more of the lost soul he was always meant to be. Each and every change made to Shadow's visuals was done with honor and purpose and it shows in every frame. From stoic determination to sorrowful reflection. Proof that acting in animation goes a long way to endearing the audience. In addition, the audio has also been enhanced with a remastered soundtrack and new sound effects for the colossi. Enriching both the world and the game's epic feel all the more. Shadow of the Colossus is not a traditional video game by any stretch. There is no need to save the world, there are no waves of lesser enemies to fight, no DLC content, no post game bonus story, just you and 16 boss fights. Once you have beaten these titans, that is it. There are a few unlockable items and a shiny new camera mode to play around with, but once you have beaten the story, there is not too much else to do than fight all 16 colossi over again. While the environment is also beautiful it can be relatively easy to get turned around as you follow the light of your sword to the next fight. Traveling through shadowed areas with only a vague direction can lead to some definite moments of frustration. This is also not a “feel good” game. The story has a somber tone throughout and barely ever lets up. Though you can find moments of hilarity while playing and finding minor bug/glitches (Wanders' tripping animations are also pretty funny), these little moments of levity are more from the player than the game itself. It will make you cry, confuse you, terrify you, and everything in between. So if games like that are not your cup of tea, I would suggest avoiding it. How far will to go...? Despite all of the visual upgrades, the foundations laid by Team ICO's incredible team remain intact for a new generation of gamers to enjoy. As a fan of the original, it has been quite an enjoyable experience to look online and see just how many people are experiencing Shadow of the Colossus for the first time. Further proving the timeless qualities this game has and continues to champion. The story of a tragic hero as he goes to extreme lengths to save the one he loves. Where the lines between right and wrong are blurred and all that matters is what is right in front of you. IN A NUTSHELL: Even after thirteen years, this classic title stands rock solid against the test of time. Dan of Extra Frames provides an analysis of the animation in Shadow of the Colossus and the importance of Timing in animation. ChristopherOdd plays through Shadow of the Colossus for the first time. Rap artist Dan Bull offers a lyrical tribute for the PS4 release.